Easter is an exciting holiday for most kids. 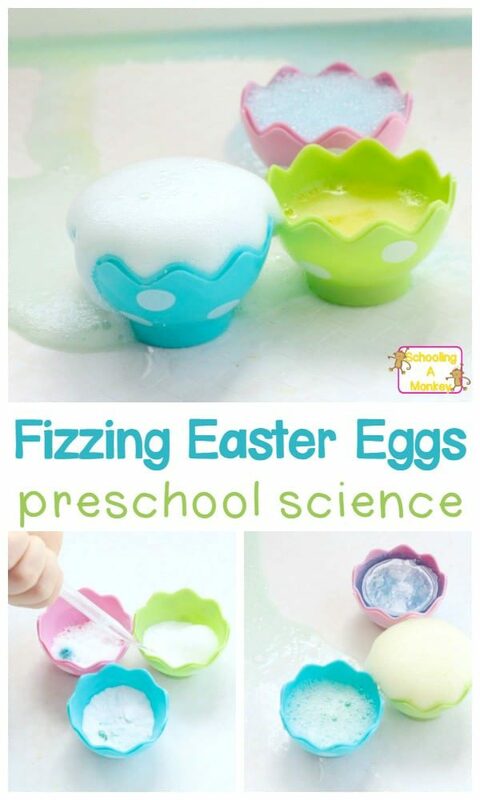 In the preschool classroom, preschoolers will love revealing the hidden colors in this color surprise fizzing Easter eggs science experiment! Learn all about chemical reactions and color mixing at the same time all while exploring hands-on science experiments for kids. 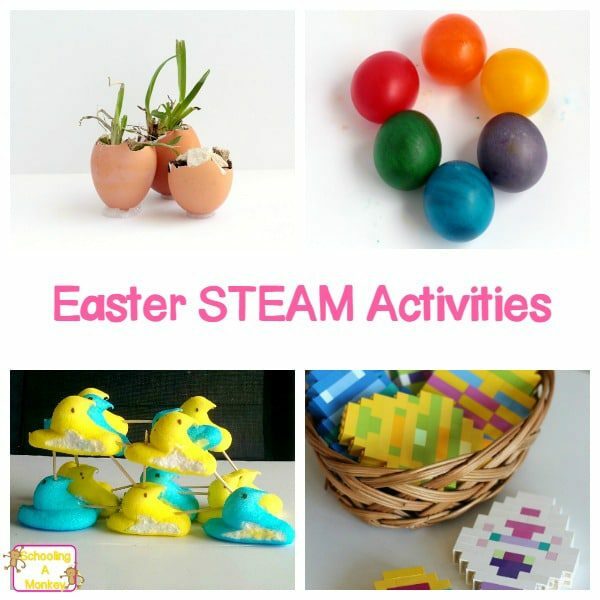 This activity is perfect for Easter STEM activities, an Easter unit study, or to do at home with preschoolers during Easter break! With a little variation, this activity can transform into a STEM activity for kids. Try your own variations on this activity and see how much you can learn with this educational activity for preschoolers. 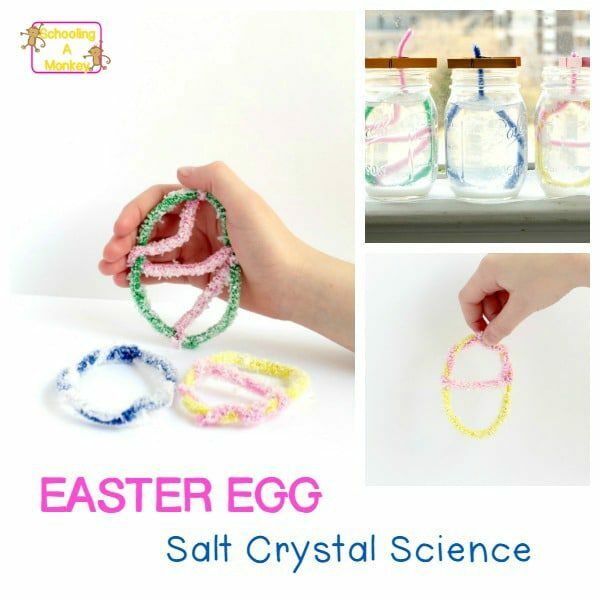 This fun science activity will be a favorite with preschoolers and older kids will love it, too! 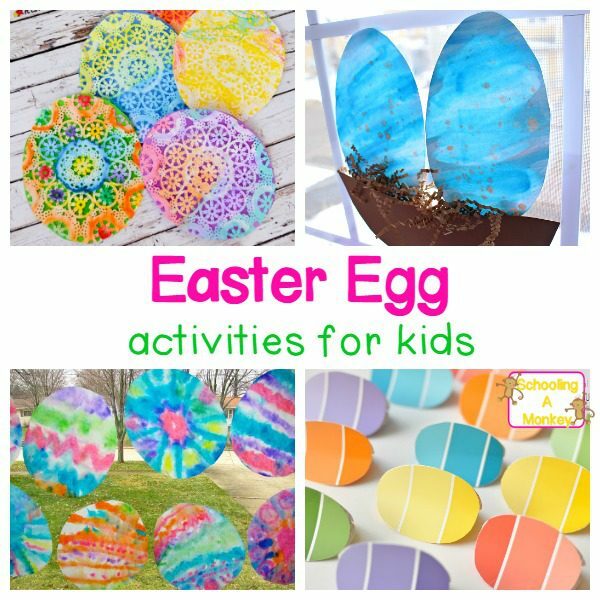 First, put one drop of food coloring into the bottom of each egg. 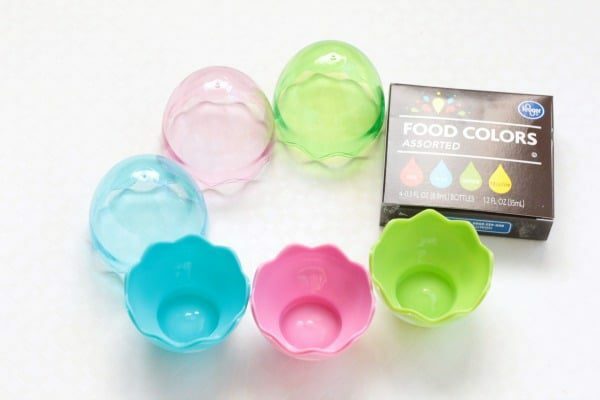 Add one tablespoon of baking soda to the top of the food coloring to hide the color. Place the eggs on your tray. Pour a small amount of vinegar for each kid into a small container. Give each kid a pipette. 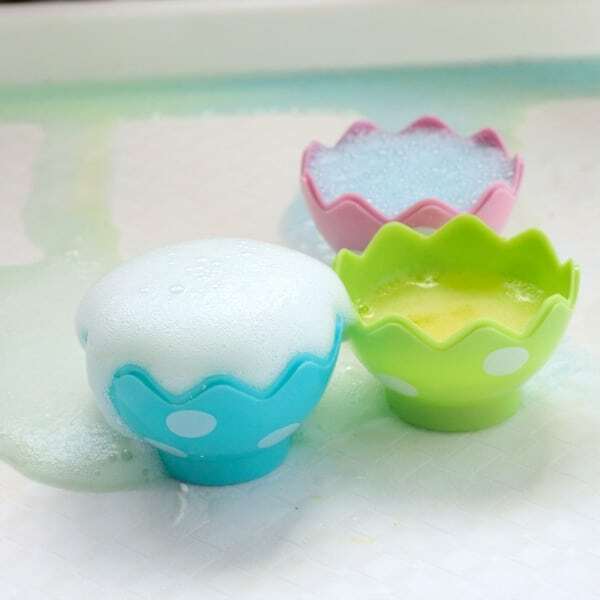 Before adding the vinegar, ask the kids to guess what color the baking soda will turn. The color surprise is another fun element of this science experiment. Show the kids how to pick up the vinegar with their pipette and add it to the egg. It will start to fizz and the color will be revealed! Keep adding vinegar until it no longer causes a reaction. 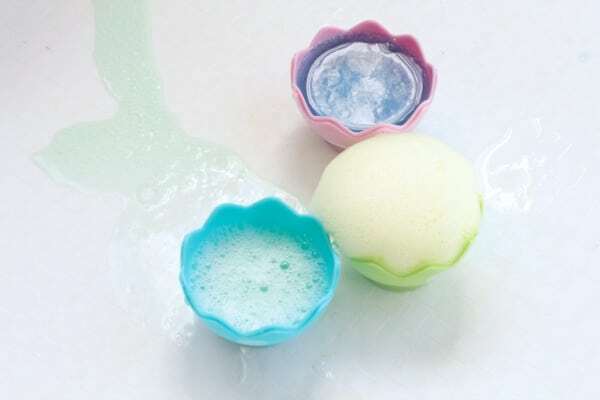 If you have the toddler STEM challenge cards, use this activity as the baking soda and vinegar reaction! 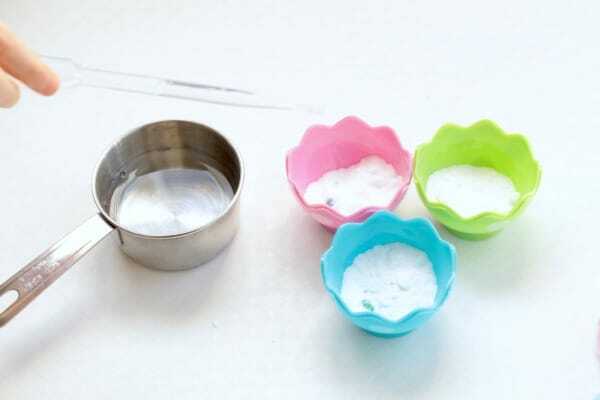 This activity is the classic baking soda and vinegar reaction. Because baking soda is a base and vinegar is an acid, when they mix, they cause a chemical reaction that releases CO2. 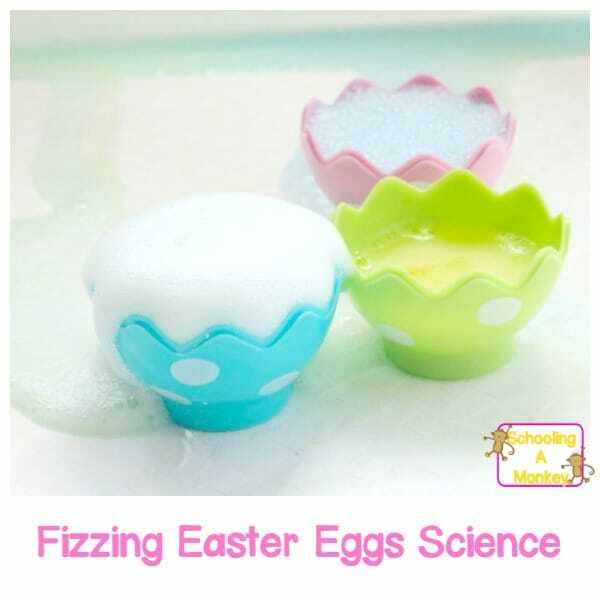 This gas bubbles up, creating the fizzing bubbles that kids love. 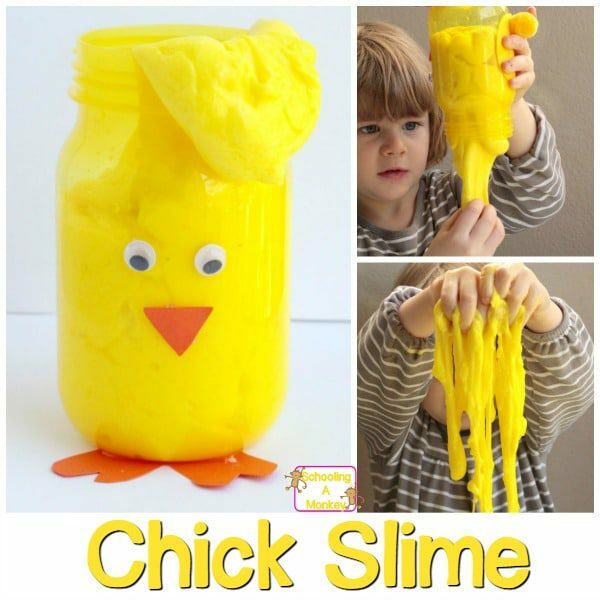 Aside from tasting a little gross, this science experiment is perfectly safe for little ones and is so much fun to repeat over and over!